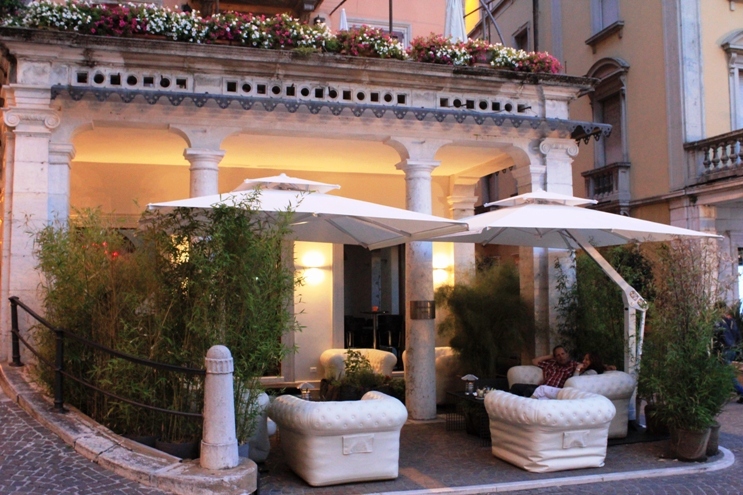 Locals in Salò, Italy, name La Casa del Dolce the best place for gelato in town. Ambra Meda decides to check it out. 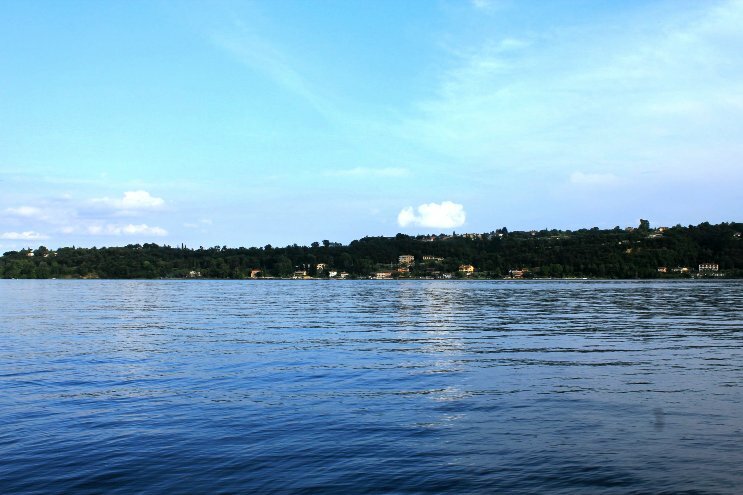 In an elongated bay on the upper Garda area, lies the charming town of Salò, renown as home to the majestic villa Vittoriale, monumental citadel built in 1921 by the eminent poet Gabriele D’Annunzio. Its geographical position is particularly favourable: rested at the base of Mount S. Bartolomeo, it’s surrounded by olive tree groves and lemon orchards. 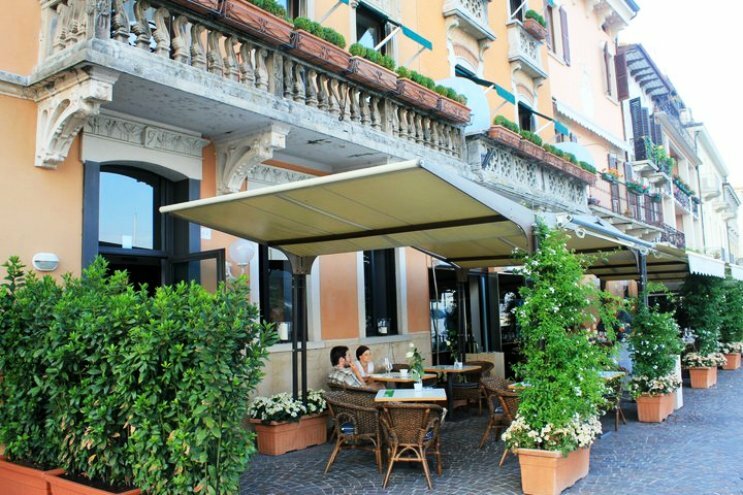 On the East side, Salò faces the Italian largest lake, whose calm waters lap the marble banks of its main promenade, the perfect spot to sight see the historic city centre’s gems. During our walk, we steer towards a picturesque maze of alleys and narrow streets, packed with charming boutiques and coffee shops, fine restaurants and Art Déco buildings. 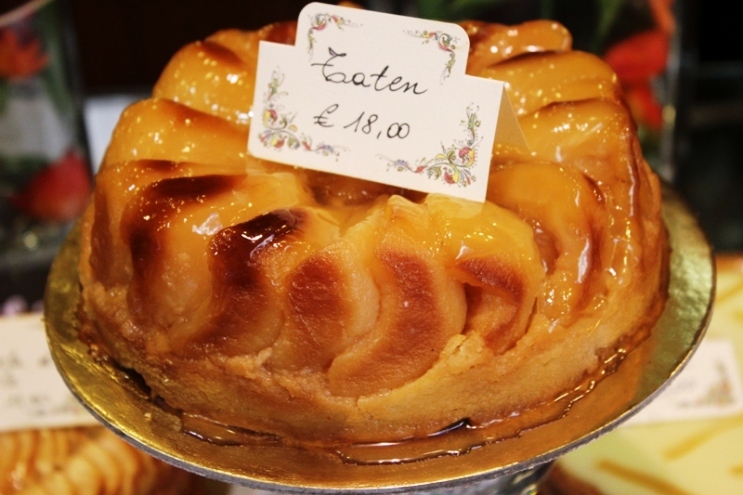 Predictably, our curiosity is magnetized by the many enticing windows of delis and pastry shops: ricotta pies, apple charlottes and frosted pastries tease us from behind the glass. Each step, a visual temptation. Chocolate cakes coated with black icing shine as mirrors; jelly fruit tarts shimmer from the counter, drawing us inside every store. The promptness and conviction of the answers don’t leave room for incertitude. As we leave the buzz of main street behind us, we reach a cozy piazza, paved with stones and dominated by an aged, tuff church. Half hidden by two thriving jasmine hedges, the sign of “La casa del dolce” finally peeps out. It stands at the entrance of a small, modest looking space. After having tried almost every available flavour, our verdict is enthusiastic. 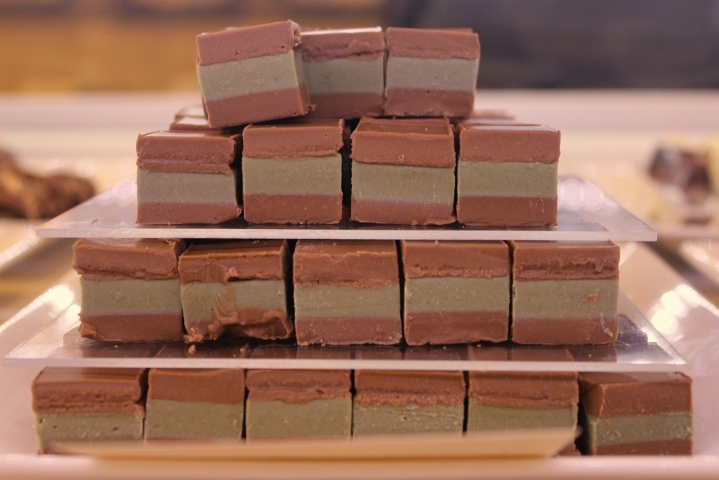 Their masterpiece is ORO NERO (black gold), a treat of 66% dark chocolate infused with green tea, bergamot and bitter chocolate sauce. The different textures and temperatures of the ingredients blend perfectly, endowing the palate with a sublime sensation. Once the ice cream’s sweetness dissolves, the richness of the sauce pervades your mouth and you can distantly taste a fresh perfume of green tea. AMERICANO, a combination of dulce of leche, muesli, banana and Maraschino (an Italian cherry liquor), awakens in our taste buds memories of the best banana cream pie. Its delicate dichotomy of creaminess and crunchiness gratifies our mouths with a unique sensation, velvety and grainy at the same time. 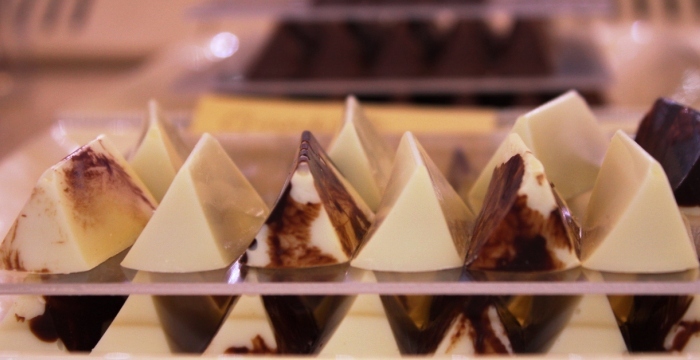 SORBETTO OCUMARE’s recipe is incredibly simple: pure water and 71% dark Venezuela chocolate. Essentiality makes it one of the best sorbet we have ever tasted. The flavor is unadulterated: a taste of ice, colder than any other, where the milklessness leaves the after taste of bitter dark chocolate intact. AFTER EIGHT’s consistency falls nowhere short of perfect: the crispness of its chocolate bites melts on the tongue merging with a sweet, chilly taste of mint. 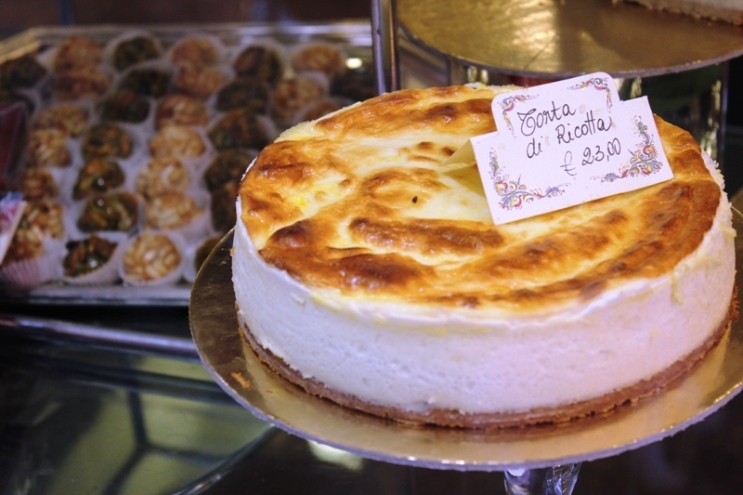 Twelve years ago, Barone quit his job as a chef to pursue his passion for sweets. He embodies pride in presenting his products and the devotion to details that every food artist should have. Despite that his store is teeming with customers, he satisfies our questioning with a good-natured smile. In the curious flicker of his eyes, one can read the enthusiasm for experimentation that led him to revisit the Italian confectionery tradition. “I live my life thinking about ‘tomorrows work’, because my best flavour is the one I still haven’t invented”, Barone says. 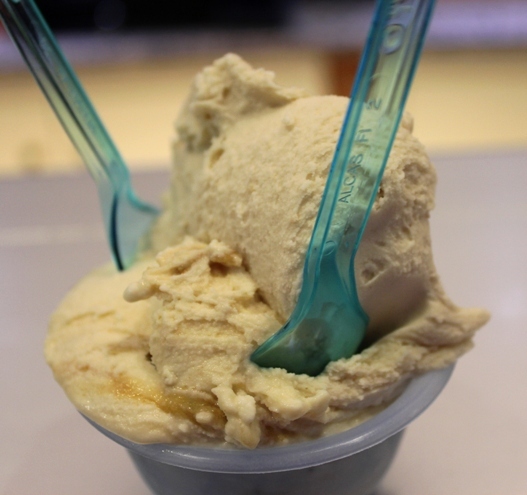 “My goal – he continues – is to create a gelato different from anything exists in Italy. 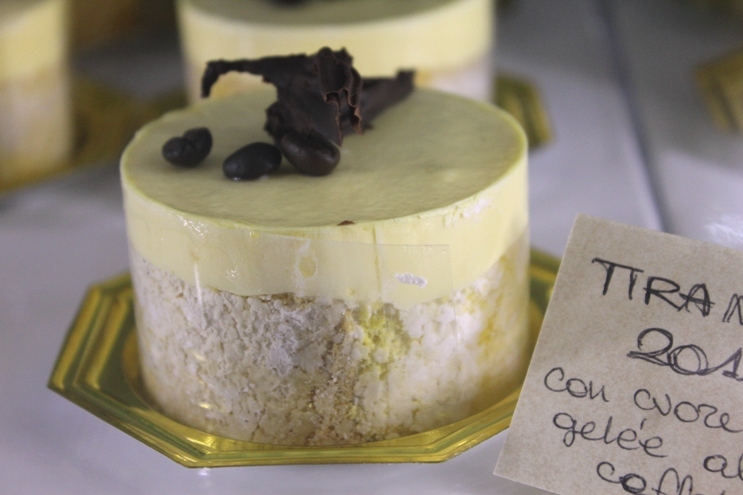 In ten years, I’d like my ice cream shop to offer only unconventional flavors… fun flavors like my TIRAMISÙ GELOSIA, a mascarpone base combined with dark chocolate, Marsala cream, eggnog, amaretti cookies and chopped meringue”. “In Italy it’s kind of a riot when I don’t serve hazelnut – he complains –; here the public is too conservative. That’s why I’d like to move to America, because I love challenges and I believe that mixing variety and high quality ingredients is the only way to make the difference”. 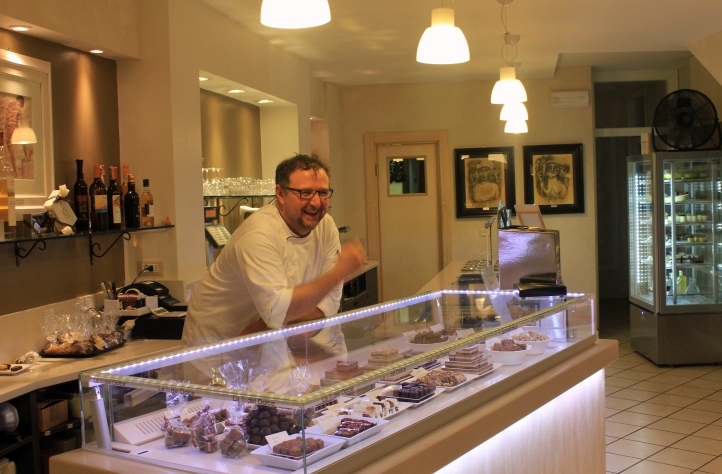 As if he wasn’t creative enough with his gelato flavors, Barone also opened a Chocolaterie close to his gelateria (via Fantoni). 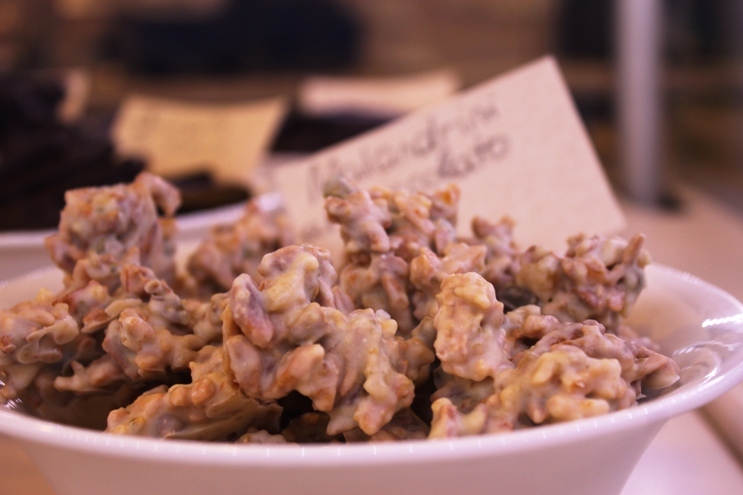 This charming, fascinating coffee shop is a kind of gateway to Heaven: homemade chocolate of any shapes, semireddo cakes and frozen spoon dessert are a temptation we cannot resist. We end up completing our tasting with samples of Pistachio Cremini and Pine Nut and White Chocolate Gianduiotti. The chocolate is so pure, thick and intense that one, small bite is totally satisfying. 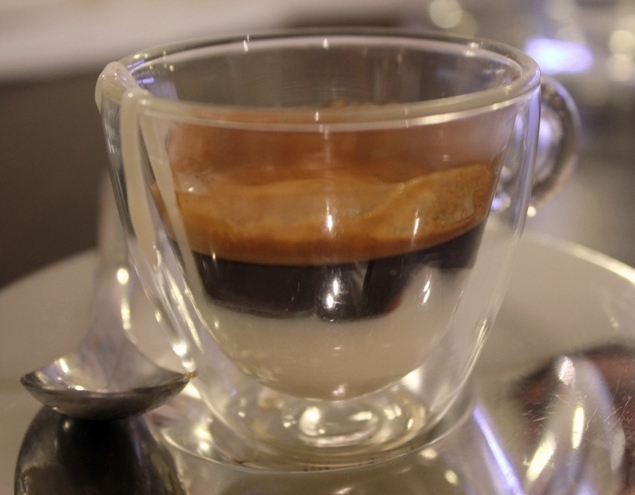 When we think we’re done with our caloric intake for at least a week, Joseph kindly asks: “Can I offer you a coffee?” “Sure,” we answer, oblivious of the fact that espresso here is served with a drop of melted white or dark chocolate flowed from a chocolate pouring faucet. 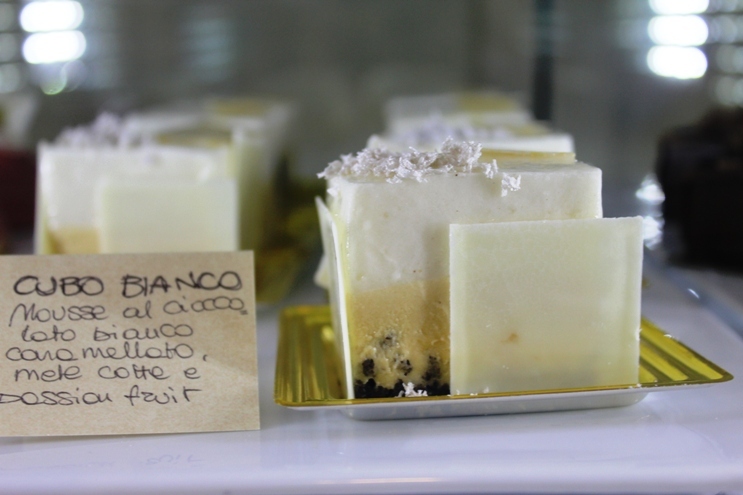 If “La Casa del Dolce” means “The House of Sweet”, this is right the perfect way to finish a sweet experience. Just returned from 5 days in Salo. Stayed at Villa Arcadio in the hills overlooking the town. Ventured into Salo every evening to partake of the wonderful Gelato. Agree that La Casa del Dolce is the best spot for gelato and the long lines prove it. There is another Gelateria in Salo called Roman which has the best dark Chocolate gelato I have ever tasted.Even better than La Casa. Overall though La Casa has other incredible flavours. What a wonderful little town. Thanks Ed… it’s feedback like this that inspires me to write. I am so glad you enjoyed La Casa as much as me and I can’t wait to go back and try the place you suggested!